Angell—Helen Angell, 98, on July 12, 2013, in Kennett Square, Pa. Helen was born in Meriden, Conn., to Josephine and Alfred Hirschfeld. She graduated from Simmons College in Boston, Mass., with a degree in home economics and worked as a dietician at a hotel and restaurant run by the Young Man’s Christian Association (YMCA) in New Haven, Conn., where she met Yale University student Gardiner Angell, who was working there as a busboy. In 1939, she married Gardiner, and they enjoyed nearly 72 years of marriage, living most of those years in Scarsdale, N.Y. Helen was a homemaker, a nursery school teacher and director for the Scarsdale Friends Nursery School, a participant in local politics, an officer of the United Nations Association, and a worker with the League of Women Voters. She joined the Religious Society of Friends and was active in Scarsdale (N.Y.) Meeting and New York Yearly Meeting. In August 1994, Helen and Gardiner moved to Kendal at Longwood in Kennett Square. At Kendal she had many good years, rejoined with Gardiner’s brothers, Richard and Stephen Angell, and her sister‐in‐law, Imogene Angell. All who knew her saw Helen as a warm, energetic, level‐headed, and caring person. She embodied the best in human interaction. Even in her last years, when she no longer could express what she felt in words, her eyes and face communicated warmth and a spark that was truly hers. Gardiner, Richard, Stephen, and her brother, Carl Hirschfeld, predeceased her. She is survived by two sons, David Angell and William Angell; three grandchildren; three great‐grandchildren; a sister‐in‐law, Imogene Angell; many nieces and nephews; and a large extended family. Donations in her honor may be sent to American Friends Service Committee, 1501 Cherry Street, Philadelphia, PA 19102, or online at www​.afsc​.org. Bell Wetteroth—Catharine Bell Wetteroth, 33, of Rockville, Md., on June 25, 2013, in Baltimore, Md., of non-smoker’s lung cancer. Catharine was born on October 3, 1979, in Astoria, Oreg. At five years old she moved with her family to Celo, N.C., for her parents’ work at Arthur Morgan School. She attended Arthur Morgan for grades seven through nine, gaining a deep appreciation for non‐graded education and consensus‐based decision making. She moved with her family to Sandy Spring Friends School in Maryland, where her parents served as dorm parents. At Sandy Spring she performed in dance concerts and wrote for the literary magazine, graduating in 1997. Although Catharine was not a member of any meeting, she attended Baltimore Yearly Meeting Young Friends conferences and the Friends General Conference (FGC) Gathering High School Program, experiences that yielded strong life‐long f/Friendships. She was part of a group that made young adult Friends a more visible and integrated part of yearly meeting life. She enhanced Adult Young Friends’ (AYF) presence in FGC, ensuring AYF participation on Long Range Conference Planning (LRCP) and securing a work grant for the AYF co‐coordinators. She herself served on LRCP from 2001 to 2007 and on FGC Central Committee’s Nominating Committee from 2004 to 2007. From 2006 to 2007, she served as an FGC representative to the Friends Journal board. She graduated from Hampshire College in Amherst, Mass., writing her senior thesis on “Worship and Suffering in Ancient Sumerian Religion.” Returning to Maryland, in 2007 she began work in the Writing and Reading Center of Montgomery College, Rockville. Catharine wrote a lot of fiction, and for several years she co‐wrote scripts for entries in the annual 48 Hour Film Project. She was always pleased that she had never had a driver’s license or bought a car. She did have a license to operate a motor boat, which she very much enjoyed doing at the family summer cabin in Ontario, and she learned to sail with DC Sail. She was a bold solo traveler, in recent years visiting New Zealand, Puerto Rico, and Florida. She took part in several online communities and was part of the local Quaker LGBT community. She had recently been accepted to a graduate program at the Oriental Institute of Oxford University and was planning to start her studies there in October 2013. Catharine is survived by her parents, Alexandra Bell and Ron Wetteroth; her sister, Agnes Bell Wetteroth; and many aunts, uncles, and cousins. Crom—Scott E. Crom, 85, on August 1, 2013, in Beloit, Wis. Scott was born on December 9, 1927, in Grand Junction, Colo., to Helen Palmquist and Walter R. Crom. His father, a World War I veteran, died when Scott was a young child, and so he was raised by his mother. He graduated from Red Oak High School in Red Oak, Iowa, and graduated as a member of Phi Beta Kappa and a major in mathematics from Grinnell College, where he met Nancy Eymann. He and Nancy married on September 8, 1949, in Hartford, Conn. He received a doctorate degree from Yale University and also taught there from 1952 to 1954. Scott and his family moved to Beloit in 1954 when he joined the Philosophy and Religion Department of Beloit College. During his long tenure there, he inspired generations of students to become critical, careful thinkers who knew how to say what you mean and mean what you say. His standards were famously high, and he was devoted to helping his students. To spare them from having to read his notoriously bad handwriting, he typed the notes he made on their term papers, often a full page of thoughtful comments. In class, he would dual process: writing one thing on the chalkboard while saying another. Long before most people had heard of the Internet or the World Wide Web, Scott was active in chat rooms, email lists, and user groups. He was an early user of computers in the classroom, writing the programs himself. The students elected him Teacher of the Year three times, and he was the first holder of the Gayle and William Keefer Chair in the Humanities. He retired in 1993 and became an emeritus professor and an honorary member of the Beloit College Alumni Association. Scott was humble about his many achievements, which included writing several Pendle Hill pamphlets and articles in Friends Journal. Scott and Nancy held Beloit Meeting in their home, and they were tireless advocates for peace and social justice. A peace garden on the Beloit College campus is dedicated to them. Nancy died on November 5, 1992. Scott was also preceded in death by his son‐in‐law, Richard Holmes. He is survived by three children, Kathryn Holmes, Elizabeth Crom, and Steven Crom (Nike Beckman); and two grandchildren. Instead of flowers, the family suggests sending donations to the Nancy and Scott Crom Scholarship for Peace and Social Justice at Pendle Hill (care of Jennifer Karsten, 338 Plush Mill Road, Wallingford, PA 19086). Friends may send condolences to the family online at www​.daleymurphywisch​.com/​o​b​i​t​u​a​r​i​e​s​/​S​c​o​t​t​-​C​r​om/. Hindmarsh—Robert Gray Hindmarsh, 86, on October 12, 2012, suddenly, at his home in Putney, Vt. Bob was born on June 18, 1926, in Cranston, R.I., to Lura Gray and Alexander Tulloch Hindmarsh. He was a veteran of World War II, participating in the Battle of Okinawa with the Seventeenth Infantry Regiment, and he was awarded the Purple Heart. After his service, he went to Cornell University, graduating in 1950 with a bachelor’s in agriculture. During college he worked at the dairy farm of Henry C. and Thyra Jane Foster in Warwick, R.I., where he met his wife, Thera Mary Foster, and was introduced to Quakerism. Bob and Thera married on July 7, 1951, in Saylesville Meetinghouse in Lincoln, R.I., under the care of Providence (R.I.) Meeting. He worked in Western Massachusetts as a crop specialist for Eastern States Farmers’ Exchange from 1950 to 1957. In 1957, Bob and Thera were among the founders of the Meeting School (TMS), a Quaker secondary boarding school in Rindge, N.H. In addition to teaching math and biology, he ran the school farm that was an integral part of the student experience. He received a master’s degree in science from Brown University in 1962 while on sabbatical from TMS. In 1965, the family moved to Concord, Mass., and Bob transitioned to teaching math and biology to seventh and eighth graders at Cambridge Friends School in Cambridge, Mass. From 1968 to 1978, he was a fundraiser for American Friends Service Committee (AFSC), serving the New England region. Then he transferred to the national AFSC office in Philadelphia to be finance secretary. In 1989, Bob and Thera happily retired to Putney, Vt., where he attended Putney Meeting, was a member of the Putney Historical Society, a volunteer for Meals on Wheels, and a board member of the Vermont Land Trust. He was a lister (a term peculiar to Vermont, a lister is an elected official responsible for valuing real property in the town) for Putney from 1989 to 1996. In later years, he particularly enjoyed exploring the back roads of Vermont and New Hampshire with a friend and was one of a group of older men who met on Friday mornings at the Putney General Store for coffee and conversation. He had a life‐long passion for growing fruits and vegetables and sharing the bounty with those around him—wherever he lived, he always had a vegetable garden. He loved his family and his community and tried to make the world a better and more peaceful place, an effort that his experiences on Okinawa made all the more important to him. His sister, Lura Blodgett, predeceased him. He is survived by his wife of 61 years, Thera Foster Hindmarsh; four children, Elizabeth Hindmarsh, Alison Briggs (Stephen), Walter Hindmarsh, and Thomas Hindmarsh (Julie); two grandchildren; and two brothers, George Hindmarsh and Alexander Hindmarsh. Mendenhall—Mary Caroline Mendenhall, 97, of Cedar Rapids, Iowa, formerly of Whittier, Iowa, on June 22, 2013. Mary was born on August 19, 1915, in Paullina, Iowa, to Ruth and Elwood Mendenhall. She was part of two important migrations of Conservative Friends in the twentieth century. When she was a child, her family moved with other Friends from Iowa and Ohio to Fairhope, Ala., where they farmed as part of a single tax cooperative community that hoped to address the challenges to conscience that came through the payment of taxes. As a Quaker she was an integral part of the community and meeting at Fairhope, which was initially a preparative meeting of Stillwater Meeting in Barnesville, Ohio. Mary attended Auburn University. In the 1940s, several of the Quaker families in Fairhope, including Mary’s, became uncomfortable with the draft and with paying taxes that contributed to militarism, and so in 1950, they emigrated to Costa Rica, which had abolished its military. The families settled in the mountains of Costa Rica, forming the Quaker community of Monteverde. Mary was the founding teacher of the Monteverde Friends School, and she cared for her parents and contributed to the life of the community. In 1959, she adopted 18‐month‐old Olivia Ann and became a loving and devoted mother. In 1975, she moved to Wooster, Ohio, where she worked at a day care center. When she retired in the early 1980s, she moved to Whittier, Iowa, and helped care for her grandchildren. During her last years, she lived with Olivia and her husband, Tony, in Cedar Rapids, returning to Whittier for meetings of the sewing club and the garden club. Mary was an active member of Whittier Meeting till the very end of her life. Neither age nor infirmity could keep her from attending meeting for worship, and Friends said that if Whittier gave out an attendance award, she would have won it easily. She maintained her strong interest in peace and social justice to her very last days, bringing magazines, newspaper clippings, and articles to the meeting every week and insisting that Friends not ignore today’s increased acceptance of militarism. She especially enjoyed reading and sharing each issue of the Olney Current. A modest person, Mary never volunteered the remarkable story of her life, but if asked, she would share it. In the last year of her life, she was part of a plenary panel discussion “I am a Friend and I…” at the 2012 Iowa Yearly Meeting (Conservative) Annual Sessions, and she was interviewed on Iowa Public Radio for a feature on Friends as part of a series on religions in Iowa. Mary enjoyed being with others, and others were naturally drawn to her welcoming presence. She exuded contentment and joy resulting from a long faithful life, and people simply wanted to be with her and deeply loved her. She will be remembered as a loving and caring mother, grandmother, aunt, and friend. She is buried at the Whittier Friends Cemetery. Mary was preceded in death by her two sisters, Mabel Watson (Al) and Elva Rockwell (Cecil); a brother, Hubert Mendenhall; and a grandson, Carson Hoge. She is survived by her daughter, Olivia Swope (Anthony); one grandchild; one great‐grandchild; two step‐grandchildren; six step‐great‐grandchildren; a sister‐in‐law, Mildred Mendenhall; and eleven nieces and nephews. Memorials can be made to American Friends Service Committee, 1501 Cherry Street, Philadelphia, PA 19102, or online at www​.afsc​.org. McNabb—Geraldine S. McNabb, 93, on July 19, 2013, peacefully, at Kendal at Oberlin, Ohio, where she had lived for 14 years. Gerry was born on August 13, 1919, on the south side of Chicago, Ill. She attended Lindblom High School and Northwestern University, graduating Phi Beta Kappa, and taught English in Niles, Mich., for three years. In the summer of 1941, she met Fred L. McNabb, known as Sandy, who was a research chemist with B.F. Goodrich Chemical Company, and they married in 1942, settling in Cuyahoga Falls, Ohio. Gerry was an advocate on public issues throughout her life. In Cuyahoga Falls, she helped organize a local chapter of the League of Women Voters. In Brecksville, Ohio, where the family moved in 1951, she served as president of the Parent‐Teacher Association, secretary of the Charter Review Commission, and president of the Democratic Club. (While in grade school, her children wondered why so few of their classmates supported Adlai Stevenson II for president—he was such an obvious choice in their household.) After moving to Michigan in 1962, she increased her focus on international issues, and in 1971, she co‐founded the Peace and National Priorities Center of Oakland County, which, drawing support from local religious organizations, supported peace in Vietnam, a nuclear freeze, and cutting military spending. She served as its executive director for ten years. After earning a paralegal degree from Oakland University in 1980, she worked in the law office of Wally McLay from 1980 to 1988. Gerry’s activism continued into her 90s as she participated in weekly peace vigils on the downtown square in Oberlin. She was a member of Birmingham (Mich.) Meeting for 10 years and Oberlin (Ohio) Meeting for 14, serving on local and regional boards for American Friends Service Committee (AFSC) and representing Lake Erie Yearly Meeting on the Corporation of AFSC and the General Committee of Friends Committee on National Legislation (FCNL). Gerry enjoyed international travel, including trips with Sandy to South America and to Thailand to visit her son in the Peace Corps. With friends she traveled to Russia, Canada, Germany, and the Galapagos Islands. She loved playing piano (Kendal residents will remember her Sing Along with Gerry song fests), playing tennis, bird watching, the Kennedys, Glenn Miller, and her family. Her legacies continue through her children, grandchildren, and friends. Once asked how she would like to be remembered, she responded that she wanted people to remember her as a person grateful for the joys of her life who encouraged a sense of responsibility toward the rest of the world. Gerry was preceded in death by her husband, Sandy McNabb, in 1979. She is survived by her two children, Marilyn McNabb and Scott McNabb (Terry); and three grandchildren. In lieu of flowers, donations may be made to AFSC (www​.afsc​.org), FCNL (www​.fcnl​.org), and the Peace and National Priorities Center of Oakland County, Mich., PO Box 240344. Sexton—John Montgomery Sexton, 86, on June 10, 2013, in Cockeysville, Md. John was born on September 29, 1926, in Baltimore, Md., to Ruth Clark Montgomery and Horatio Clay Sexton. His father was a captain in the navy, and he grew up in Annapolis, Md. ; Portsmouth, N.H.; Washington, D.C.; Charleston, S.C.; San Diego, Calif.; and Hawaii, spending many summers in New Albany, Ind., with his grandparents. He developed a lifelong passion for sailing in Hawaii beginning in his early teens when he discovered an outrigger canoe under the porch of the house where his family had moved. He got the canoe into the water and sailed all day about a mile out with his mother waving frantically on the shore. Although that night the canoe disappeared, his passion for sailing never waned. As a boy he belonged to St. John’s Episcopal Church in Washington, D.C. He first came into contact with Quakers at Sidwell Friends School, which he attended for his senior year. He graduated in 1944 and enlisted in the navy, contracted rheumatic fever, and stayed in Corona Naval Hospital for a year, witnessing the return of wounded World War II soldiers from the South Pacific. Upon discharge, he returned to Washington and enrolled in George Washington University. He became active in youth work in the Episcopal Church, but his experience in the naval hospital led him to work for peace, and when his discussions with his rector were not helpful, he turned to the Quakers. He joined Friends Meeting of Washington (D.C.) and represented Baltimore Yearly Meeting at the 1952 World Conference of Friends in Oxford, England, where he had three life‐changing encounters: with the writings of Pierre Cérésole, Swiss pacifist and founder of the International Voluntary Service for Peace (IVSP); with his future wife, Lois Forbes, a representative from Indiana Yearly Meeting; and with several Earlham College professors. He earned an associate’s degree from George Washington University and spent his final college year at Earlham, where his and Lois’s paths crossed again. He graduated in 1953 with a bachelor’s in mathematics and a concentration in world citizenship. He reported on the 1952 World Conference of Friends at every monthly meeting in Baltimore Yearly Meeting. Advocating intervisitation to help Friends of different practices work together, he traveled through the Midwest to encourage young Friends to come to the first Young Friends of North America conference (for which he was chairman) to be held at Guilford College in 1954. He was also part of a committee to unite the two Baltimore Yearly Meetings (Orthodox and Hicksite). In the summer of 1953, he became director of McKim Community Center, serving the Jonestown neighborhood in the southeastern district of Baltimore. Lois had come to work at Friends School of Baltimore; she and John married in June 1954 at the Stony Run Meetinghouse under the joint care of Homewood and Stony Run Meetings. During his service as interim director of McKim Boys Haven, he and Lois cared for 13 boys in addition to running the programs at McKim Center, where he was “Mr. John” to several hundred boys and girls. After their marriage, John and Lois moved their memberships to Homewood Meeting. John served as clerk of Homewood Meeting, as clerk of Baltimore Yearly Meeting, and as treasurer of the Miles White Beneficial Society. He taught math for most of his career. In the early 1960s, he and his family spent a year in Konya, Turkey, where he was a Fulbright Teacher. The family moved back to live in Moorestown, N.J., and be sojourning members of Westfield Meeting in Cinnaminson, N.J. Upon the return, John worked with American Friends Service Committee in the organization’s School Affiliation Program and Work Camp Program. The family then settled in Baltimore, where he taught in Baltimore city and county schools, at Park School, and at Friends School of Baltimore. In 1968, they moved their memberships to Gunpowder Meeting in Sparks, Md., where John remained a member until his death. At Gunpowder Meeting, he helped maintain the meetinghouse and served many years as trustee. He accompanied young friends to work camps, including Habitat for Humanity, working to rebuild black churches that had been burned in Alabama and South Carolina. He was the first administrator of Right Sharing of World Resources, driving many miles across the Midwest and on the East Coast to visit Quaker meetings and urge Friends to pledge 1 percent of taxable income for Third World populations. Fifty years later, 75 groups of Kenyan women are starting small businesses with microcredit loans thanks to this project. He was president of the Baltimore Astronomical Society and attended many star‐viewing parties and astronomical conferences in Baltimore and across the country. His son, Andrew, shared his love of sailing and sailed with him. 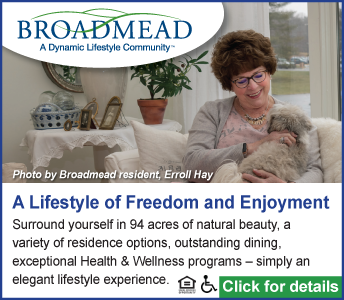 In 1998, John and Lois moved to Broadmead Retirement Community in Cockeysville, bringing them closer to the Gunpowder Meetinghouse and enabling them to continue their involvement in the meeting as long as health permitted. John was preceded in death by his brother, Horatio Clay Sexton Jr. He is survived by his wife, Lois Sexton; three children, Andrew F. Sexton (Anna), Joan Sexton, and Nancy S. Greenia (Matthew); two grandchildren; his sister, Mary Susan Brooks; and eleven nieces and nephews. Donations in John’s memory can be made to Right Sharing of World Resources, 101 Quaker Hill Dr., Richmond, IN 47374, or online at www​.rswr​.org. Webster—Edward Webster, 80, peacefully, in the very early morning of July 18, 2013, after a gallant and protracted struggle with prostate cancer, at home in Marlboro, Vt., with a shower of heat lightning illuminating the predawn sky moments later. Ted was born on May 12, 1933, in Abington, Pa., to a Baptist mother, Grace Edel Gourley, and a Quaker father, Harold Shoemaker Webster, and grew up in Jenkintown, Pa. Always a bright‐eyed seeker of adventure and challenge, he scaled Mount Rainier in 1951 under the guidance of famed mountaineer Louis Whittaker. In 1955, he graduated Phi Beta Kappa with a degree in political science from Gettysburg College, where he was a standout on the swim team. After college, he served in Germany as a clerk typist in the army from 1956 to 1958, earning a swimming medal in the Armed Forces Olympics and climbing the Matterhorn. After the army, he moved to Lincoln, Mass., briefly writing children’s science books and then working with Osram Sylvania Inc. as a computer programmer. He started his own market research and publishing firm in 1977, Datek Information Services. He met Susan Foote Griggs on an Appalachian Mountain Club hike in the White Mountains of New Hampshire, and they married in 1961. Susan guided Ted back to his Quaker roots, and they became peace activists, protesting the Vietnam War. In 1967, they stopped paying war taxes for a period, started the Roxbury War Tax Scholarship Fund as a place for war tax resisters to redirect a portion of their taxes to, and counter‐recruited at high schools. They even tried making peace between Ray Robinson, a militant civil rights activist, and George Lincoln Rockwell, the founder of the American Nazi Party, agreeing to hold a meeting in their home between the two groups. Susan died unexpectedly in 1978. Ted married Margaret Connell in 1985. After selling his consulting business, he started the nonprofit Jubilee Center in 1988, and he wrote a book about the founding of the center called Transformational Joy. Jubilee promoted experiential worship, held workshops and retreats, and published Joy newsletter. Other books that Ted wrote are Savoring One River; The Sufi Order of the West; Print Unchained: A Saga of Invention and Enterprise; and The Community Land Trust (with Robert Swann). He also helped publish works by other writers: Eight Rabbits, Susan Webster Poems, and Songs from the Hills of Vermont. After Ted and Margaret divorced in 1992, he met Edie Mas, a healthcare specialist and sculptor, and they remained partners until his death. Ted and Edie built a solar‐powered home on a rocky ridge in Marlboro, Vt., where they happily shoveled snow, fed the wood stove, and found joy together among the deep woods and wildflowers of the Vermont mountains. Ted returned to the computer printer industry in 1996 as a consultant for I.T. Strategies, a partnership that continued for ten years. An adherent of Sufism, he was most recently a member of Putney (Vt.) Meeting and had been a member of Monadnock Meeting in Jaffrey‐Peterborough, N.H., and Friends Meeting at Cambridge (Mass.). He surfed, windsurfed, competed in triathlons, cross‐country skied into his late 70s, and swam competitively all his life, holding New England Masters Swimming records in age‐group freestyle swimming. He stayed in excellent physical condition until he succumbed to the cancer. A loving father, grandfather, partner, and friend, Ted is survived by three children, Mark Webster, John Webster, and Chris Webster; two step‐children, Michael O’Donnell and Meghan O’Donnell; three grandchildren; his partner, Edie Mas; Edie’s two children, Alex Mas and Carl Mas; and her four grandchildren. In lieu of flowers, the family requests donations to Putney Friends Meeting, PO Box 381, Putney, VT 05346, or Citizens Awareness Network, PO Box 83, Shelburne Falls, MA 01370, online at www​.nukebusters​.org.